How can we be Strong for You? “Strong for You” sums up our mission. 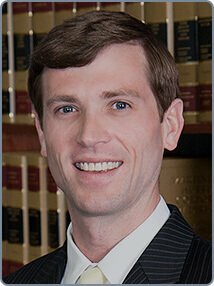 We help our Eastern North Carolina clients every day to overcome their legal challenges. Attorneys L. Lamar Armstrong, Jr. and Marcia H. Armstrong have more than 30 years of legal experience They work closely with our other attorneys and staff to serve clients in a broad range of areas, including Eastern North Carolina business disputes, personal injury and family law. We understand many people are nervous and fearful about the legal process. No one wants a lawsuit. Everyone should try to make peace with those who have wronged them. Peace requires that the wrongdoer make right the wrong caused. This requires giving up something taken or paying money to fix damages caused. When you try to settle your disputes and make peace, but receive nothing but denial and rejection, what do you do? Some simply “take it” and absorb their losses while allowing the wrongdoer to profit rather than pay. Most people wronged by others want to take action. They know our legal system offers hope, but they are afraid of the position or power of the wrongdoer who must be brought to justice, and they fear the unknown process of litigation. Let us bring the wrongdoer to justice. Let us ease your stress and anxiety by reliably and resourcefully advocating for you. We truly want to make a meaningful difference in your life. Meet Our Team Family Law and Business Dispute Lawyers committed to You. 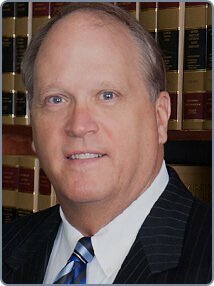 Eastern North Carolina Attorneys L. Lamar Armstrong, Jr. and Marcia H. Armstrong lead our highly dedicated legal team. They bring more than three decades of legal experience to their clients. 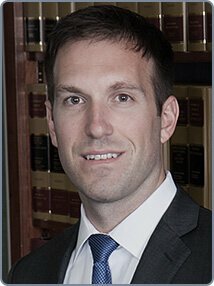 Our team also includes Lamar and Marcia’s children, L. Lamar Armstrong III and Eason Armstrong Keeney, as well as Eason’s husband, Daniel K. Keeney. We offer a uniquely warm and inviting family atmosphere due to our family ties. Lamar’s and Marcia’s peers selected them for inclusion in Super Lawyers® based on their skilled, committed and ethical representation of clients. Additionally, their peers rated both as “AV Preeminent” ™ in the Martindale-Hubbell® legal directory – the highest possible rating of legal skill and ethics. Marcia received a Tier 1 ranking in Family Law, and Lamar, Jr. received a Tier 3 ranking in Insurance Law, in the most recent U.S. News & World Report “Best Law Firms” rankings for the Raleigh Metro area. “Strong for You” means aggressively protecting our clients’ rights. We work hard to obtain the best possible outcome for them. Our clients deserve nothing less. We give personal attention to every client we serve. We take the time to understand each client’s unique goals. We make those goals the focus of our representation. We are fully dedicated to serving you and your best interests. The Armstrong Law Firm will pay close attention to the result you seek. We focus our efforts on pursuing that result. Your goals will be our goals. We also work efficiently. We understand legal problems can consume a client’s life. We want to help you move forward quickly as possible. A “strong” law firm is an ethical law firm. We represent our clients with care, candor and loyalty. We work with other parties and their attorneys with openness and honesty. Our clients ultimately benefit from our firm’s ethical approach. Above all, we communicate with our clients. We know that a client’s case is always the most important one to them. We provide clients with regular updates on case status. We return calls. We address questions and concerns. Client service is our top priority. We are North Carolina trial attorneys. We thrive on presenting the strongest courtroom arguments possible. Our courtroom success comes from hard work and careful preparation. We thoroughly investigate Eastern North Carolina claims. We often consult with experts who provide valuable insights on complex issues. We also use cutting-edge technology to present our clients’ cases. We operate with strength when negotiating settlements or other agreements due to our strong courtroom reputation. We work from our office in Smithfield, N.C. This location gives us convenient access to communities and courthouses throughout Eastern North Carolina. We serve clients in the areas surrounding Raleigh, Fayetteville, Greenville, Wilson and Wilmington. Our Smithfield business dispute lawyers address many legal issues that may arise when you are working hard to make your business a success. We work with clients in cases involving breach of contract (including violations of non-compete agreements), breach of fiduciary duty, trade secrets theft, stealing of corporate assets, property disputes, insurance disputes, collection and money disputes, corporate liquidation and shareholder, partnership and membership disputes. Our attorneys also represent clients harmed by fraud and other forms of unfair and deceptive business practices. We handle these cases in a timely, cost-efficient manner. We work hard to resolve cases for our clients through mediation and direct negotiations. However, we will fight hard in the courtroom if necessary to achieve the outcome our clients deserve. 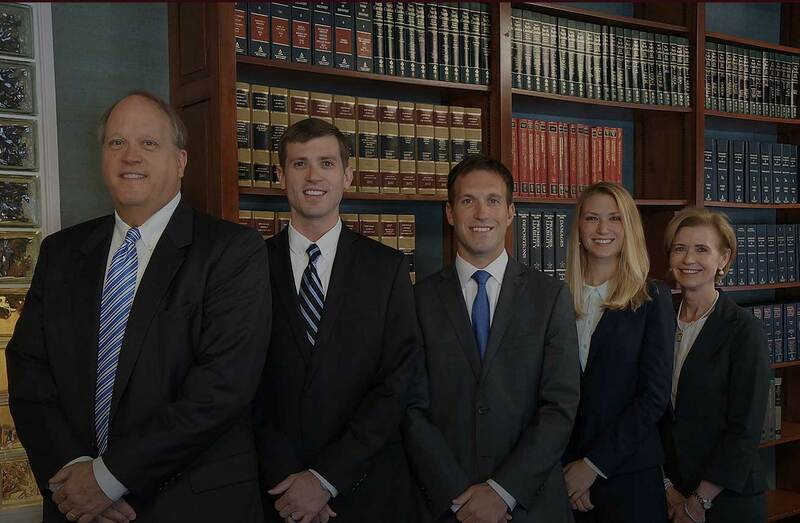 Our Smithfield personal injury attorneys stand strong for those injured by others’ careless actions. We help them obtain compensation to make wrongs right. We represent those who have suffered injuries or lost a loved one in car accidents, motorcycle accidents and crashes involving large commercial trucks. We also assist clients harmed due to dangerous property conditions. Despite what their marketing materials say, insurance companies do not always act in your best interest. When an insurer fails to hold up its end of a deal, you need an attorney who will be strong for you. We often represent clients in what are called bad faith insurance practice cases. We understand the challenges of going through a divorce – especially when you have children, own a business, have a significant amount of real and personal property, rely on your spouse for financial support, or financially provide for your spouse. We are highly skilled at resolving cases through mediation. 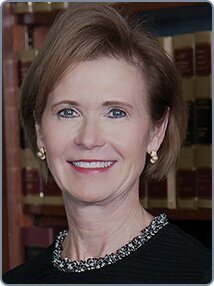 Marcia H. Armstrong is a North Carolina State Bar-certified specialist in family law. 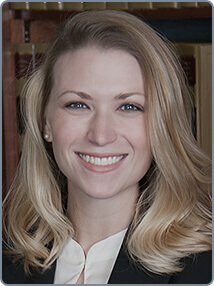 She is also a very active member of the American Academy of Matrimonial Lawyers who served as president of the organization’s North Carolina chapter. She will put that background and experience to work for you.